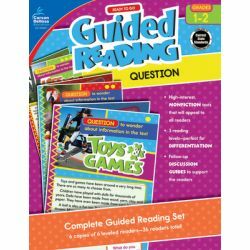 Help students improve foundational reading skills at every level with Guided Reading for first and second grades. Strengthen comprehension skills with Guided Reading: Question for first and second grades. 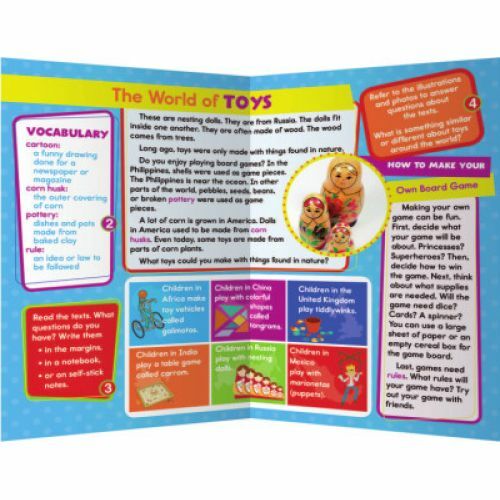 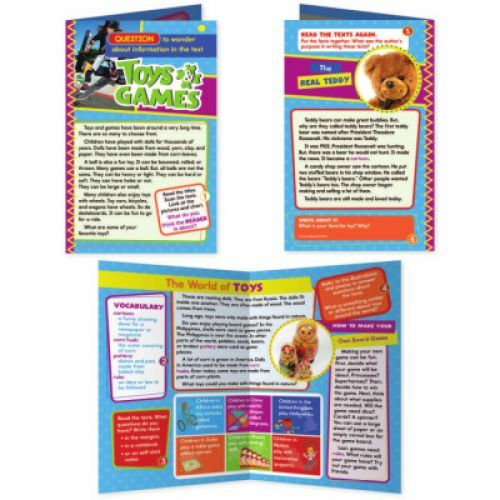 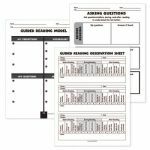 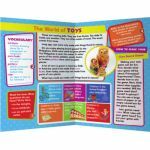 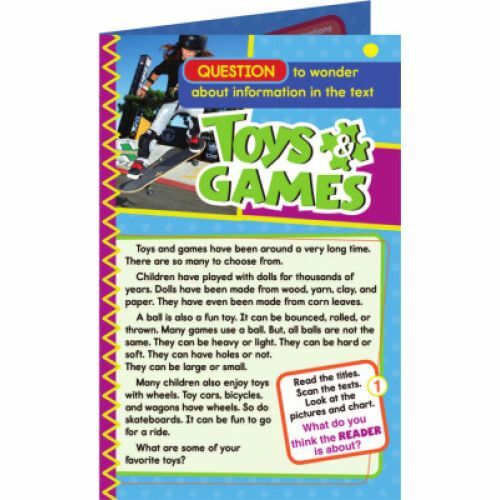 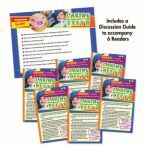 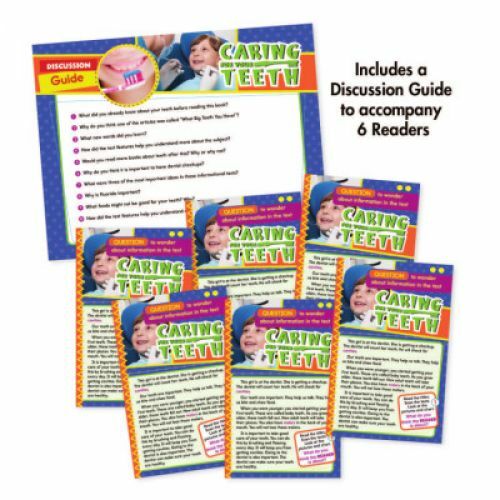 A simple way to enhance guided reading lesson plans, this resource book contains six sets of informational readers for students at different skill levels. 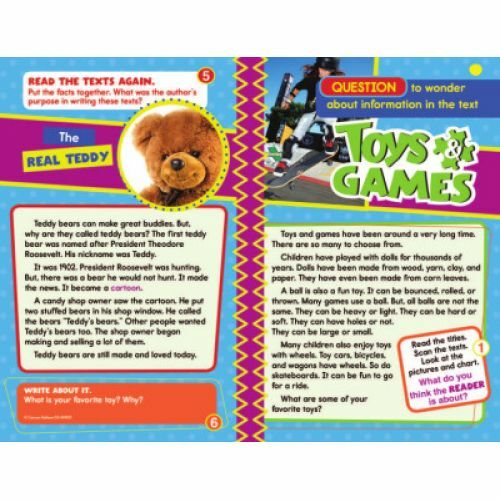 It covers topics such as cultures, stars, and more. 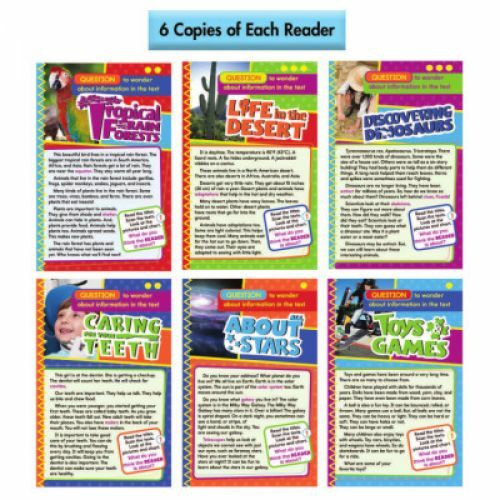 The readers are separated into below-level, on-level, and above-level reading skills. 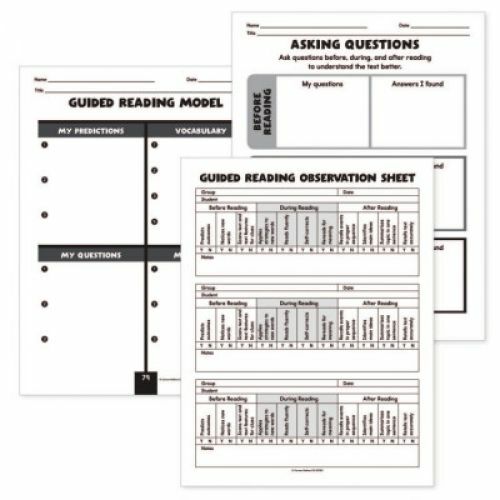 The resource book features call-out boxes to direct students to apply guided reading strategies to the texts, such as scanning for meaning or word work. 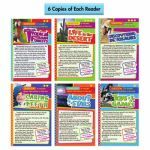 Each reader concludes with a writing prompt so students can show what they learned.